One of fitness’ million-dollar questions is what affects your physique more; diet or exercise? Clearly both affect how someone’s body looks but based on my observations and personal experience, hands down, diet is more significant. I have been teaching spin/indoor cycling since 2007 at various gyms. I notice a wide range of people and how their bodies change or don’t change over a long period of time. These are people in my classes and other general gym goers. On occasion I will notice someone’s body is becoming more toned or they have slimmed down. When I compliment them on their progress the response is ALWAYS that they (finally) changed their diet. These are people who have been working out consistently for years and then finally found the missing piece of the puzzle that was hindering their results. The typical diet changes I’ve heard range from omitting added sugar or gluten or fried food or alcohol or soda or refined carbohydrates. Inside I’m always so happy that they finally figured out that you can’t out-exercise a poor diet. I wish more people realized this sooner. Not only will a healthier diet promote fat-loss, shrink your waistline and reveal muscle tone that is covered by unneeded fat, but you will also feel better and lower your risks of developing a chronic degenerative illness such as cancer, type 2 diabetes or heart disease. I’ll now share my personal experience with this philosophy. 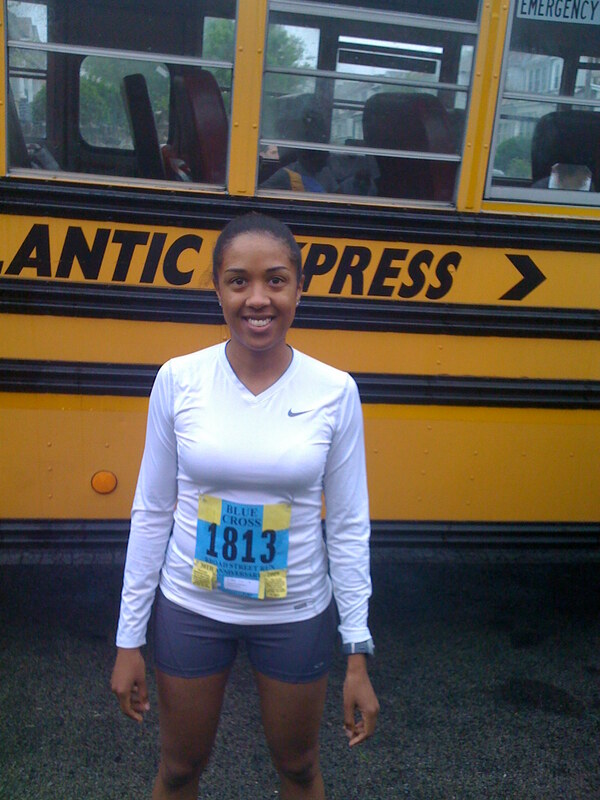 I was an avid runner for over 15 years. 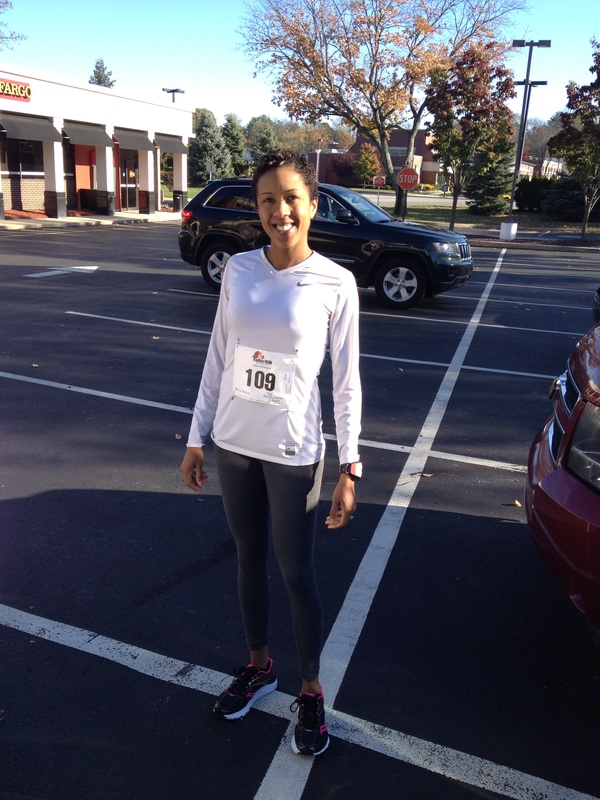 I competed in several 10 miles races, half marathons and one marathon. While training for the Vienna City marathon (I ran in 2011,) I developed a pelvic stress fracture. I did not know what the injury was until after the race. Honestly I didn’t want to know because I was determined to run this race I had put so much time and preparation in to. Anyway, I finished it in 3:30! Yay me! I’m sure running 26.2 miles on a stress fracture makes it a lot worse so I was unable to run for 2 1/2 years. Apart from being depressed about not being able to engage in something I so closely identified with and missing the social aspect of running with my club I was terrified that I’d gain a lot of weight. Conventional wisdom says if calories in are more than calories burned I will gain weight. I went from running 20+ miles per week (lots of calories burned) to no running. I also had to take a break from spin for a month to let get the slow healing process in motion. During this time of inactivity I was bored out of my mind. I visited Barnes and Noble and started browsing the health book aisle. If you don’t know yet, I’m a health/fitness nerd. I came across Kimberly Snyder’s book The Beauty Detox Solution. My life has never been the same. At this point I had been vegetarian for 5 years. After reading her book I converted to a whole foods plant-based diet; giving up dairy and eggs, i.e. no animal products. I also significantly cut down on gluten-containing foods. I was eating the same amount of calories (or more) but they were now exclusively from green smoothies, fruits, vegetables, whole grains, nuts and seeds. To my surprise I lost weight during this month of inactivity and actually lost it in the right place; my mid-section!! In the past, even when I lost weight my stomach was still not as flat or defined as I would have liked it. So the point is diet greatly affects the way you look. Your workouts will of course enhance your desired physique but if that diet isn’t right you are not going to see results. The photo on the left is pre-vegan diet taken in May 2009. The one on the right is after I eliminated animal foods and gluten taken in October 2013.